One day when we were at the beach, I saw caves among the rocks and thought about how life must have been at the beach a bazillion years ago. So I acted on my imagination and had Annie and I become Cave girls. She wanted to stay in the shade and protect the cave. I decided to pose and look fabulous while playing the role of lookout. How creative, Rosy! 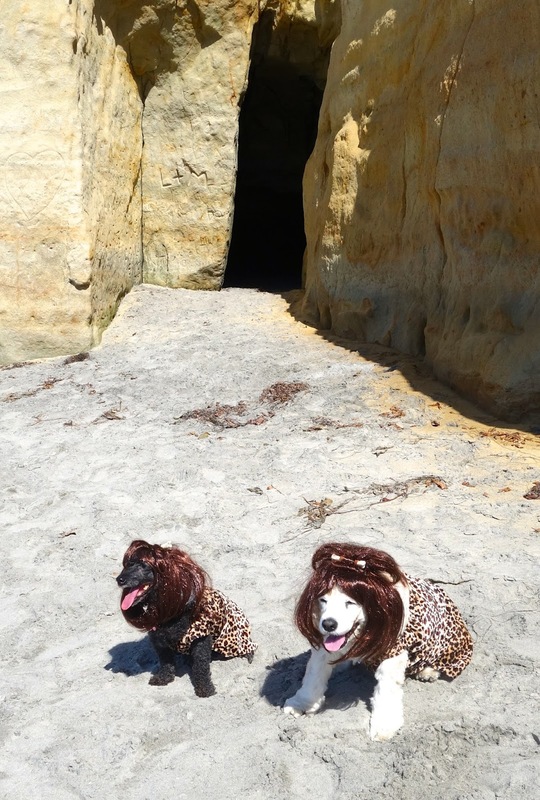 You guys are so cute in your wigs & cave women outfits. Did you get to go inside the cave? That looks like a fun place to go to me. I'll bet you were a great lookout Rosy. Thanks! I just love leopard! So fashionable! The cave was cool inside which Annie liked, I love sunshine, the scene and being seen! BearHUGs & RosyPoodleKisses! Rosy, that is very clever. 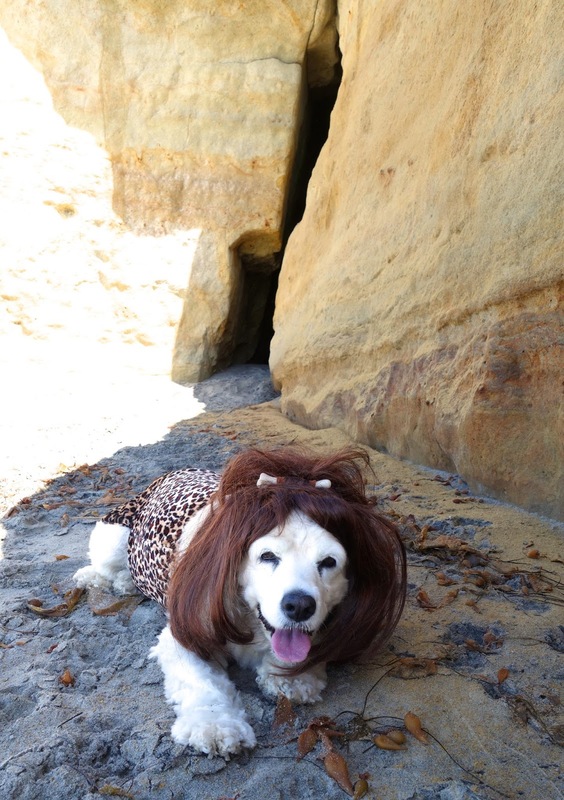 Did you see any cave drawings of any dogs? If so, I wonder if our canine ancestors were in them running around at the beach! Good question Bob! I will need to go back with a flashlight and look closer for drawings. I will look for drawings of dogs and tennis balls! BearHUGs & RosyPoodleKisses!